These days, every website needs to be highly competitive in order to grow a substantial audience and improve its search engine rankings. Most of the popular sites for almost every topic have had years to build up massive libraries of content. If you want to compete, your content needs to be more in-depth and engaging. That’s where long-form content can help you. 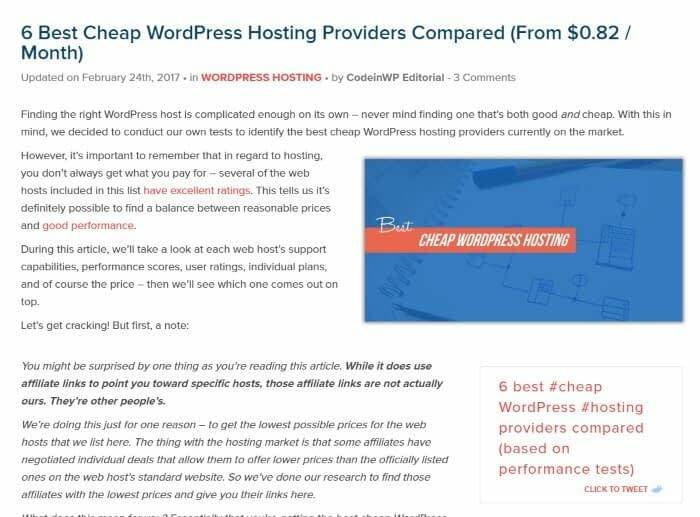 When we talk about long-form content in WordPress, we’re referring to articles that are typically at least over a thousand words in length, and often far longer. It’s a lot of ground to cover, but this format enables you to address topics thoroughly and meticulously. 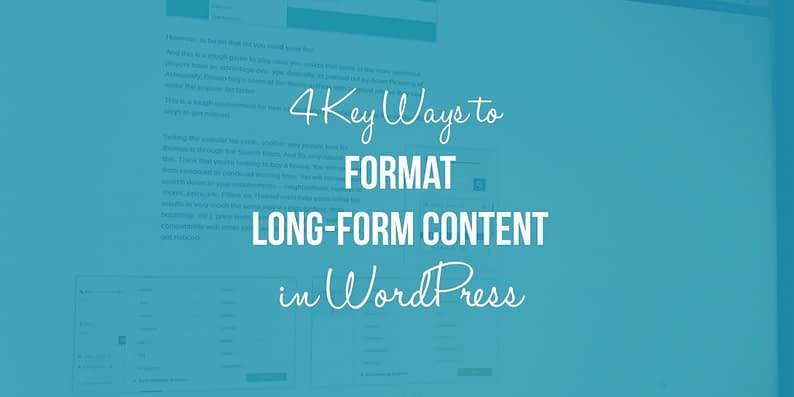 In this article, we’ll explore four of the major benefits of long-form content in WordPress, and then introduce you to four simple methods to ensure yours is outstanding. Let’s dive right in! ‘Ultimate guides’ are an excellent example of long-form content. Despite what its name might imply, long-form content doesn’t need to be dozens of pages long to be characterized as such. There’s no standard definition for what constitutes a long-form article, but – as we mentioned earlier – most people wouldn’t describe anything below a thousand words as such. If your content meets this criterion, is in-depth, and delivers value, it’s probably safe to characterize it as long-form. More time spent on site. The longer your content, the more time users will spend on your site on average. Higher user engagement. In-depth content often invites lively discussions and gets shared more often than its counterparts. Greater authority. If you take the responsibility of doing research seriously, it will reflect in the quality of your content. Over time, this will help cement your authority in your field. Improved Search Engine Optimization (SEO). Long-form content tends to rank better than shorter pieces for several reasons. The benefits of long-form content are evident, so you should definitely consider using it, but not always. If you think that a particular topic is better suited to shorter pieces, then, by all means, don’t try to force a higher word count than is necessary. For optimal results, you should decide which format to use on a topic-by-topic basis. With that in mind, let’s move on to learning how to optimize/create/format long-form content in WordPress for better results. While we can’t tell you what to write about, or how long each of your pieces should be, we can give you some tips on how to make your long-form content shine. 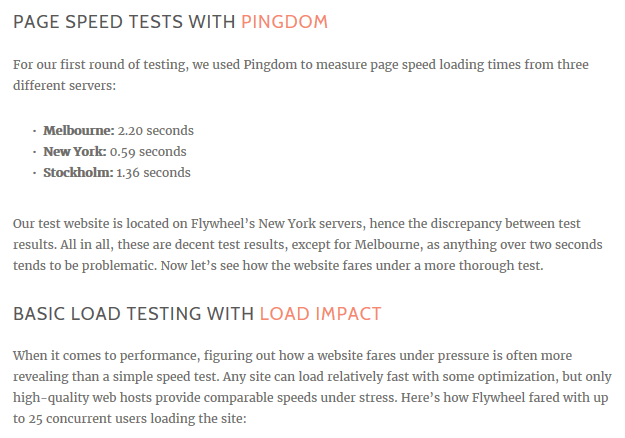 Our recent Flywheel review provides an example of how you can use subheadings to structure your content. If you’re a fan of reading on the web then you’re probably already familiar with articles being broken down by subheadings. There are many benefits to using these elements within your own content. For starters, they’re great for SEO, and they are perfect for dividing long articles into manageable sections. Make each subheading as descriptive as possible, so readers will know what they’re in for. Use them to break down particularly unwieldy sections; think roundups and step-by-step instructions, for example. Subheadings should reflect the structure of your article. Now that we’ve tackled subheadings, let’s move on to images. An example of how to work images into your articles contextually. Reading through massive walls of text can be difficult, especially when browsing an article on a small device. Images enable you to introduce logical breaks in your content, while also providing value. Ideally, each image you include in your article should be directly related to the content close to it. 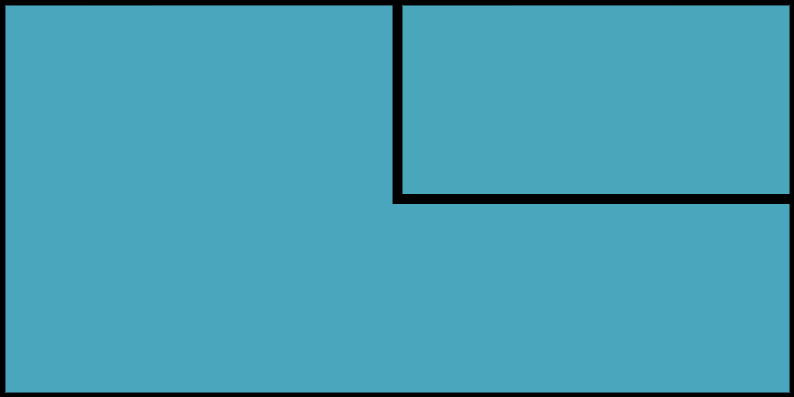 For example, an image might help readers follow instructions, or simply illustrate a point (as is the case with this section’s image). Aside from making your articles more readable, proper use of images can also increase reader engagement. It’s a win-win proposition that’s exceedingly simple to implement. An example of an article using a list to explain a subject. Lists are easy to scan, which makes them well-suited for web content. They enable you to offer a visual progression of ideas. Using lists improves the structure of your articles. 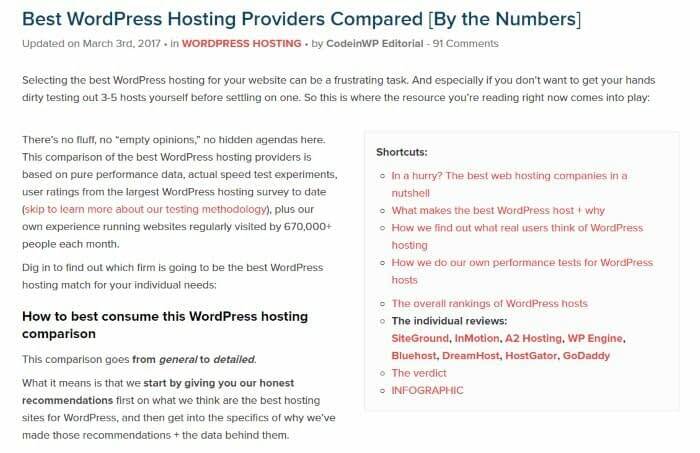 Implementing lists within long-form content in WordPress is relatively straightforward. Depending on which topic you’re tackling, the format should provide you with plenty of opportunities to do so (think benefits, key features, pros, cons, etc.). An example of a simple table of contents. Think about a table of contents as a list of all the main points your article is going to hit. If you’re writing for the web, then you can use each subheading as part of your table of contents, which means both methods go hand in hand. As long as your subheadings are descriptive enough, your table of contents should provide visitors with a quick overview of your entire article. Furthermore, readers will be able to jump ahead to the sections they care most about, which makes your content more usable. While the plugin is surprisingly simple to use, you might want to check out this guide for how to set it up and customize your tables. 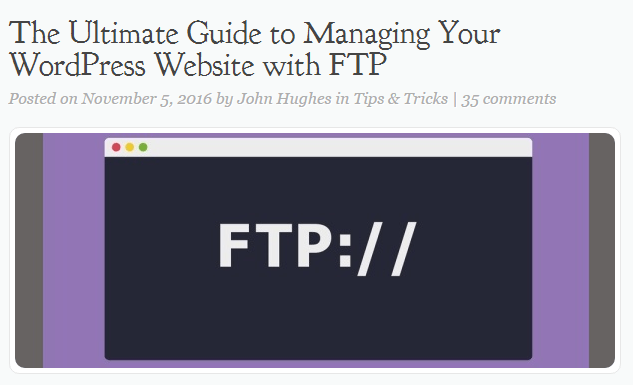 Long-form content is one of the most straightforward ways to put your website on the map. It takes a lot of work to produce longer articles, but as long as you focus on providing value, the rewards are plentiful. Users will spend more time on your site, you’ll accrue more authority in your field, and your SEO should improve over time. Break down content with subheadings. Do you find long-form content to be more engaging than shorter pieces? Share your thoughts with us in the comments section below!